Here is how much snow piled up across Northeast Michigan betweeen yesterday and early this morning. 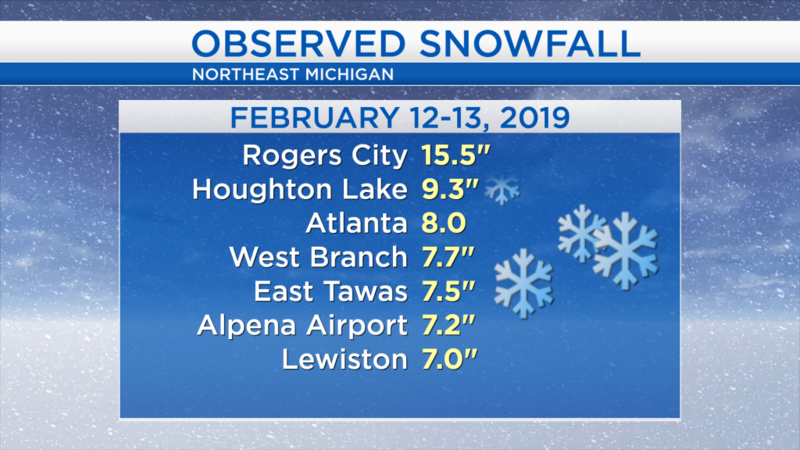 The blockbuster number ended up at Rogers city which got more than 15 inches of snow, and 7-10 inches of snow were observed elsewhere across our area. In addition, wind gusts about 30 mph caused extensive blowing snow. After the storm system passed our area, winds shifted out of the northwest. Brisk winds traveling over Lake Michigan have generated lake effect snow, more intense west of I-75, but a few snow showers have drifted into our side of the state. Overall, a period of quiet weather is expected this evening. A weaker system currently centered over southern Montana will travel eastward, increasing our chance of snow for tomorrow. 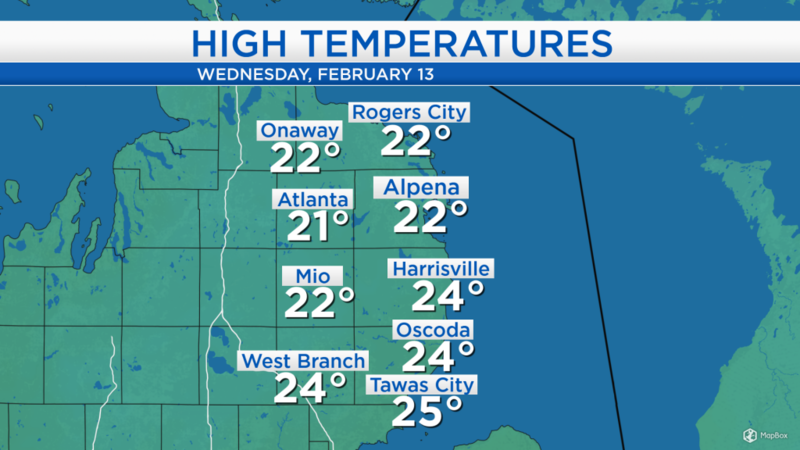 High temperatures today reached the lower and middle 20s under overcast skies. Tomorrow, a light breeze out of the southeast will help bring warmer temperatures to our area. Tomorrow will start with cloudy skies in the morning. 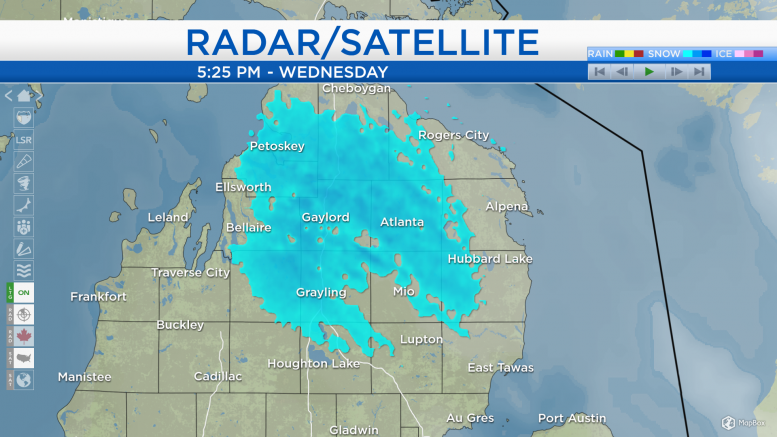 By midday, some snow showers will move into our area, continuing through tomorrow evening. Overall, snowfall amounts are not looking impressive, about 1-3 inches are expected across Northeast Michigan, although slightly more is possible north of Alpena to the Tip of the Mitt. It will take until the evening to warm to a high temperature of 34 degrees. 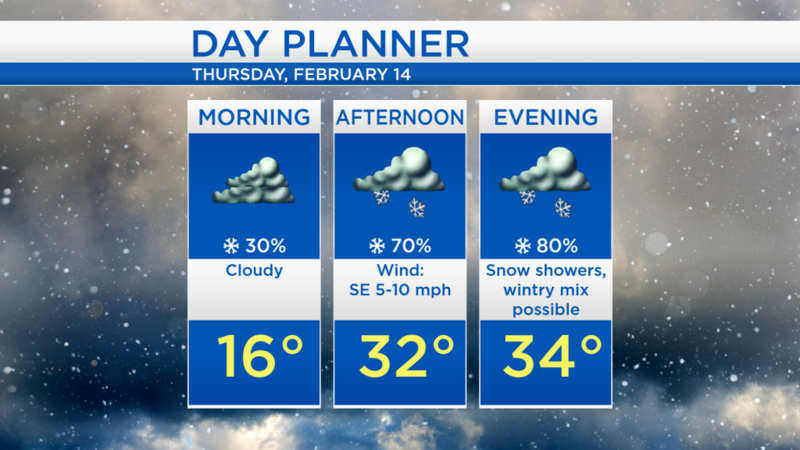 Highs will reach the lower/middle 30s late tomorrow with snow showers arriving around the late-morning or midday. After tomorrow, temperatures will cool going into the weekend. Winds will shift out of the west on Friday, then out of the northwest on Saturday, pulling in colder air from the Upper Plains into our area. On Friday, a chance of snow showers will continue during the morning, and highs will reach the middle/upper 20s. Finally, an extended period of dry weather is likely from late Friday through the weekend. Some sunshine is expected for the start of the weekend although Saturday will start with cooler temperatures, around 11 degrees in the early-morning, then reaching the lower 20s in the afternoon. For the rest of Northeast Michigan’s weather forecast, watch the latest weather video by clicking the weather tab at the top of the page.